Most of the sites in this block have links from their sites to ours. Dave Joynson has uploaded almost 100 photographs to the FLICKR website so they can be seen and judged world-wide. Have a look at these at his Mountainman2007Collection and consider using the site to display your photographs. Our erstwhile Photo-competition judgeMartin Kessel has a website displaying photographs of his interests: rock bands, aircraft, astronomy, birds, animals, insects and holidays. Ian fromMobile Computer Services has helped a lot of club members with computer problems. Onsite Computer / Laptop repair in the Stoke-on-Trent / Staffordshire Moorlands Area. He comes to you. Free BaseCamp software lets you plan outdoor activities, organize your data and share your adventures with others. The Walking Partnership is an exciting new initiative, supported by Ramblers Worldwide Holidays, which aims to provide direct financial support to the grass roots of the walking community in the UK through local walking clubs and societies. If you go on a Ramblers' holiday you can nominate the HRC to receive funding and this must be done before you travel. Friends of the Lake Districtare the only charity wholly dedicated to protecting Cumbria's landscape for the future. Current concerns: proposed cuts to countryside access in Cumbria and the sell off of Lakeland's woodlands. La Randonnee Ceretaneis the website of the club of the French walkers who joined us in 2006 for a holiday in Patterdale. A HRC holiday was enjoyed in their area near the French Pyrenees in September 2007. The government is planning a massive sell off of our national forests. Please consider signing the Save Our Forests Campaign petition. All you have to do is click here38 Degrees and add your name, email address and post code. Accommodation is available on thePilgrims' Route at the Maison Numero Neuf in La Souterraine. Have a look at the ultra-lightweight outdoor clothing imported from the US (featured in TGO magazine) at Winwood Outdoor based in Keswick. They are the only stockist of this equipment in the UK. They will allow a 10% discount to HRC members. Frixo is a road / motorway traffic reporting site which gives users up to date information as the site gets updated every 3 minutes via feeds from various sources including the government's official Highways Agency site. Chase The Wild Goose Hostel is a new backpackers' hostel in Fort William in Scotland. Details available from the website. Country Walking is an information resource from Britain's best selling walking magazine. Canalside Farm is a family owned farm with a shop and cafe near Shugborough. Call in for snack while out on a walk. The Happy Hikerfree, easy-to-understand walking routes in both text and GPS downloadable formats together with general walking advice. Currently includes walks in Yorkshire (including the Dales), The Lake District and Derbyshire. Enjoy Walking Holidays in France World Walks is a tour operator for hiking & walking holidays to Europe (including Eastern Europe, Spain, Portugal, France), New Zealand, Morocco, Turkey & destinations worldwide. 7dayshop For cameras and photographic and computing consumables: cards, inks, discs, batteries etc. 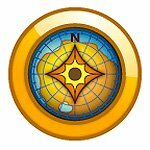 Grid Reference Finder Find the grid reference of a meeting point or other location, or find the location on a map of a given grid reference. Peak District Walks A collection of Peak District walks highlighting the history and culture of the Peak District. Walking Britain Comprehensive website on Walking in Britain; includes many walking routes. Independent Hostels Guide Find bunkhouses, hostels, backpackers, camping barns and group accommodation in England, Wales, Scotland, Ireland and Europe. Bing Maps Good for full screen ordnance survey maps. Split Screen Map Split screen with 50,000 OS map alongside Google Earth. Can plot a route. Harvey Maps A large range of maps and strip maps for long distance walks. Guidepost Discounted maps and books online, post free. The following links are to websites which have contacted us through our HRC email address. Lifecoach Directory Useful for those looking for support or general advice about life coaching and improving their health and fitness to get the most out of life. Borneo Adventure Holidays Rambling Holiday to Borneo's Mount Kinabalu. See the via ferrata videos. Mountain Walks in Spain Tailor-made group holidays for guided or unguided walking, birding ,flora, cultural or a mix of these activities. Los Arcos Holidays Small hotel is southern Spain specialising in walking holidays. Sunnymeade Hotel In North Devon between Woolacombe, Croyde and Saunton Sands, and close to Exmoor and the South West Coast Path. Evasion Travel Puts the best locations of the Ardeche Region in France, and huge range of activities, at your fingertips. AdventureFrance L'Issartou is a beautifully restored 300 year old Farmhouse located in the picturesque Midi-Pyrenees, South West France. Kenya Guided walking/birding with wonderful game viewing away from mass tourism. Aqua Ventura Guided and self-guided walking and in the limestone mountains of the Costa Blanca, Sierra Baja in Spain.